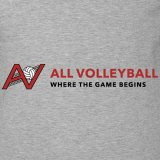 All Volleyball is...Where the Game Begins! The shirt is nice. Very thoughtful of the company to offer for our purchase. 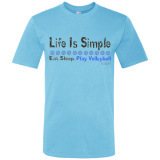 Our shipment was quick and the product is just as it shows on the website. Thanks! I like that it fits well and it was free! 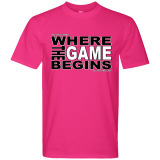 Nice quality t-shirt! Colors are nice together too! 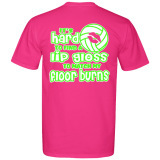 Enjoyed looking at volleyball items for my granddaughter. Found everything she needed and wanted at reasonable prices.